On Saturday, 28 October 2017 at 1:00 pm the 2017 Veteran of the Year Award Ceremony will be held at the New York State Military Museum in Saratoga Springs, New York. This annual award is co-sponsored by the Friends of the New York State Military Museum and the Capital District of New York Chapter of the Association of the U.S. Army. Presenting will be the Presidents of each organization, Congressman Tonko, Congressman Faso and Congresswoman Stefanik with remarks by BG Michael Natali, Commander, 53rd Troop Command, NY Army National Guard. All Chapter Members and Friends are encouraged to attend and the public is welcome also. 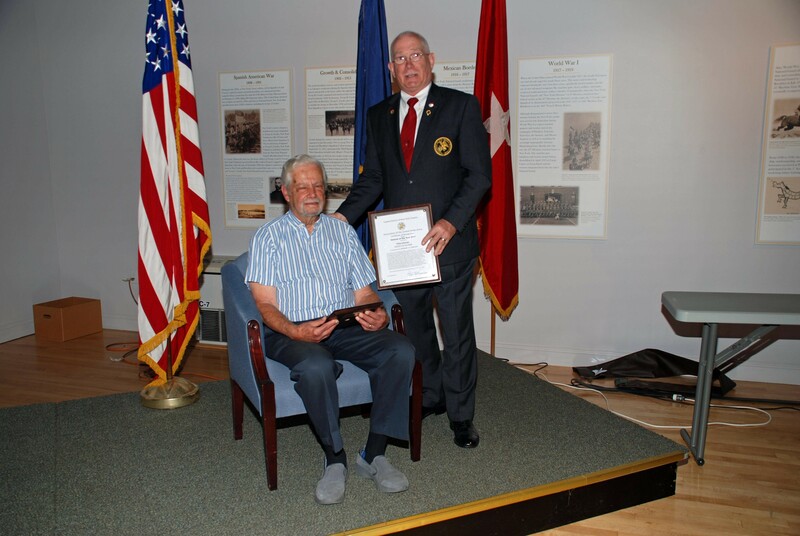 This 2017 awardee is Mr. Philip Imbarrato, who served in the Korean War in 1953 with the 6th Tank Battalion, 24th Infantry Division. The primary mission of the Battalion was the guarding of North Korean and Chinese Prisoners of War near Puson, South Korea. Upon leaving Korea in 1953, he was posted to Mount Fuji Army Base, Japan, where he served until his discharge in January 1955 as a Corporal. For his service, he was awarded the National Defense Service Medal, The United Nations Korean Service Medal, the United States Korean Service Medal and the Republic of Korea War Service Medal. Phil returned to the City College of New York after his discharge and earned a Bachelor’s degree in Sales Management in 1957. He entered the retail sales field as a salesman and independent sales representative for several different office furniture companies until his retirement in 1999. Throughout his working career and into retirement he has been a long time member of the Ballston Spa Lions Club, including serving as president in 1983. He also has the distinction as one of the longest serving Docents at the New York State Military Museum and can be seen faithfully at his post every Thursday morning. He began serving as a Docent in 2006. Phil was already married when he was drafted in 1951. He and his wife Dolores, who passed in 2005, have three sons and four grandchildren he still resides in Ballston Spa.